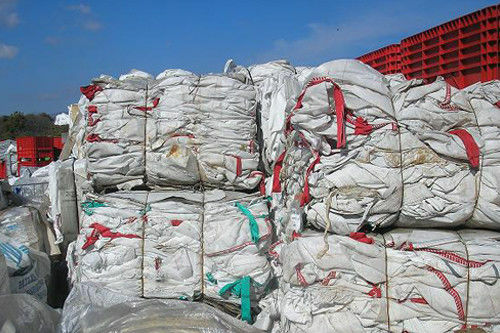 Plastic granulating lines are used for granulating PE,PP,PS and ABS clean industrial scraps or wasted and dried plastics in film, rigid or foam form. 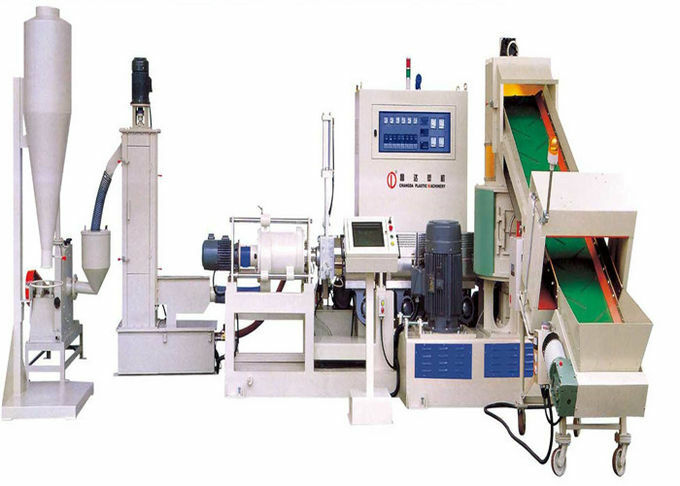 Size reduction can be done by Granulator or Shredder according to the form, dimensions and capacity of the line. Form of plastic is important for choosing the right feeding type for extruder. Also moisture of the material is important for the line. Drying before extrusion can be done by full automatic or manual built-in Agglomeration machines. 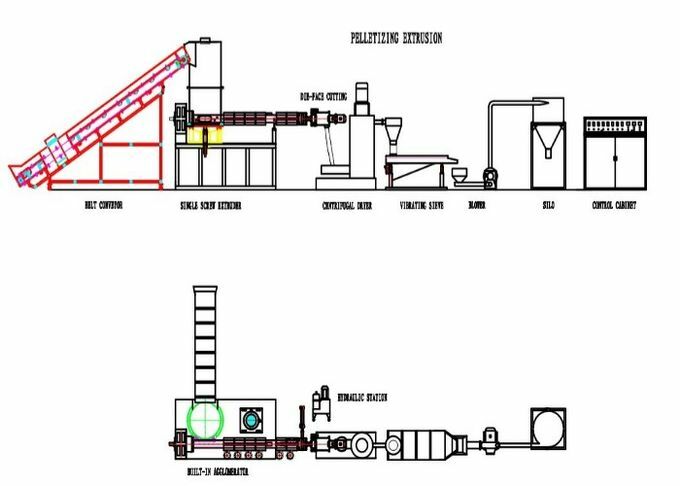 PLASTICS GRANULATING LINE WITH BUILT-IN AGGLOMERATION MACHINE is a full automatic, user friendly system for granulating clean post industrial wasted and washed plastics in single step. 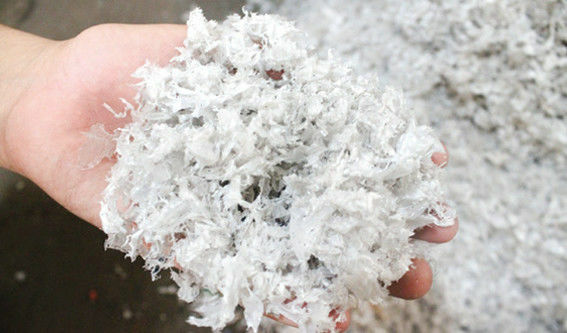 Post industrial waste in film form can be granulated directly without any other processing in single step by integrated Built-In Agglomeration System. Also washed plastics in film or rigid form, up to 5% residual humidity can be granulated automatically. 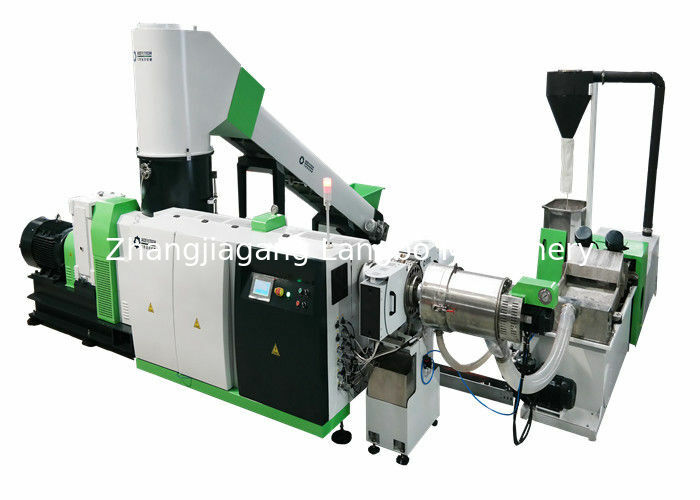 By using innovated Internal Temperature Control of Built-In Agglomeration Machine, plastics with different MFI volume can be processed quickly, feeding of Extruder is maximized and output capacity is increased. Saves of workmanship by easy control and automatic operation, area by compact design and energy by high efficient process. This production line is controlled by user friendly intelligent PLC system and touch screen. Melt Filters are used at extruders. By using special screens, filters are used for cleaning contaminants in melt (sand, metal, different plastics) which reduce granule quality. Plastic Melt Filters are made of special alloy steel suitable for high pressure and temperature. Melt Filters are hardened by PTA hard welding. Single Plate and Double Plate models are suitable for manual operation. Filter diameter is chosen according to contaminants, type of plastic and extruder capacity. Automatic Filters are equipped with self cleaning “backflush” system, they are working with minimum melt loss at maximum capacity principle. Filter plates are moved with hydraulic power and nitrogen gas. Special insulated heaters and precise heat control maximize output quality. 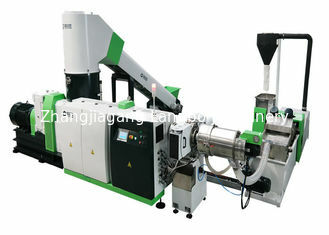 Pelletizers are used for cutting plastic melt in granular form. Hot granules are cooled externally in water tank and dewatered in integrated centrifuge after cooled. Granules can transferred to a storage silo by blower optionally. PE, PP, PS, ABS plastics can be pelletized full automatically. Vertical or horizontal types are available for different capacities. Pelletizers are completely made of AISI 304 stainless steel. Pelletizing blades and die are made of special alloy steels and coatings according to the type of plastic. By mobile parts, maintenance period is minimized. Speed control for pelletizing blades enables changing granule size during operation. Steam blower can be used optionally for sucking the steam from dewatering centrifuge.